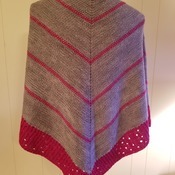 Beautiful large shawl in gray with dark pink stripes and lacy edging. 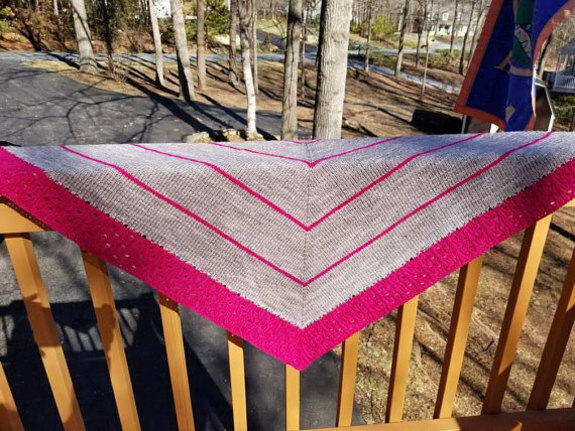 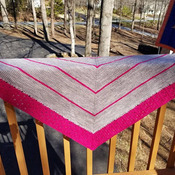 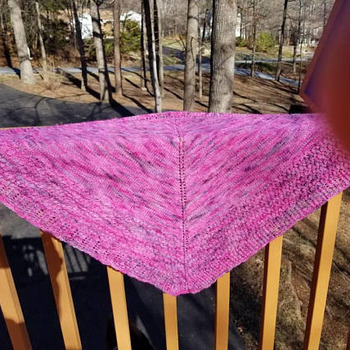 This shawl is made with 100 percent light worsted merino wool for the gray with merino wool and silk yarn for the pink accents. 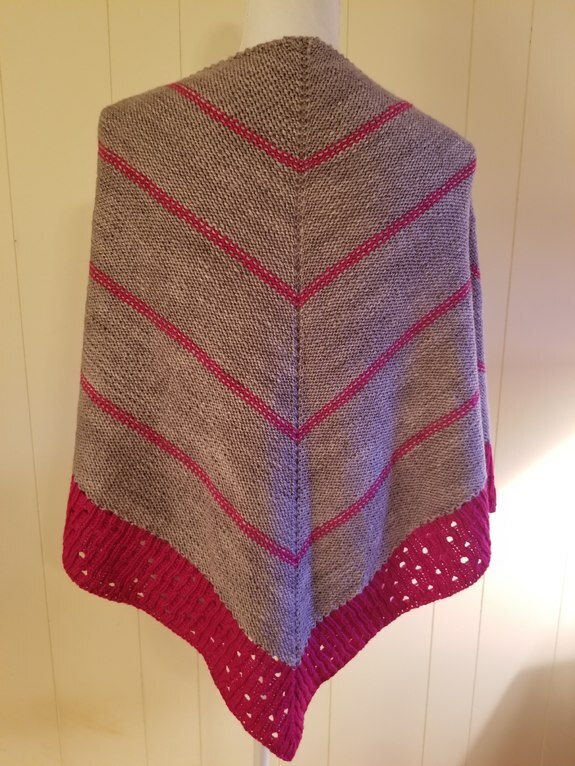 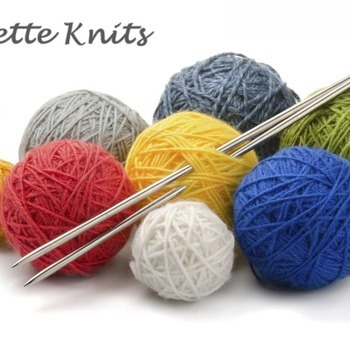 This is not only lovely to look at, but it will serve its purpose gorgeously of keeping you warm on those chilly days. 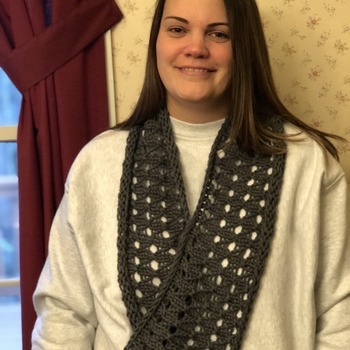 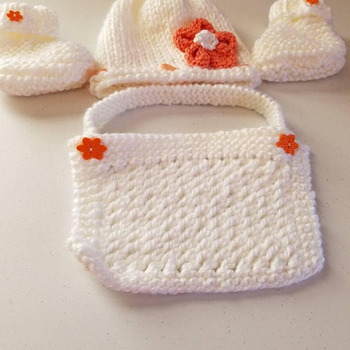 This would be a great addition to your wardrobe or to be given as a gift for a special person. 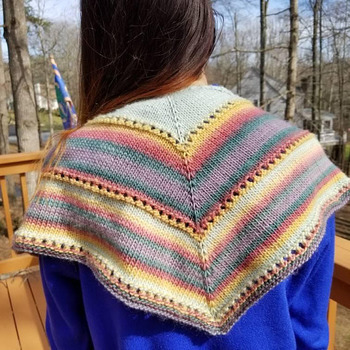 Lovely little hand knit springtime shawlette in mixed colors of merino wool and nylon blend. 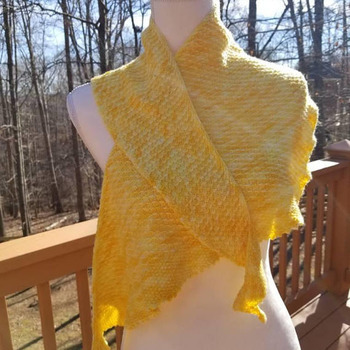 Hand knit asymmetrical shawl in hand dyed brilliant yellow of cashmere, merino wool and nylon blend. 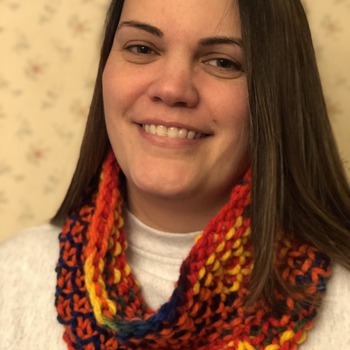 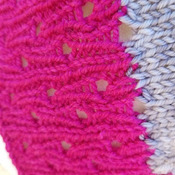 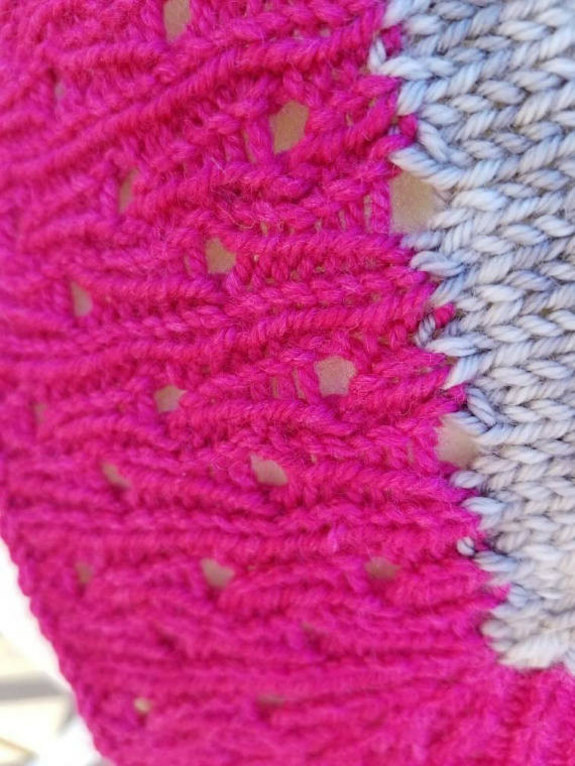 This is a fun, chunky cowl in bright multi-colored acrylic yarn.